HP has decided to use a proprietary form of ink in its office printers, as the company has used them already in industrial printing machines. 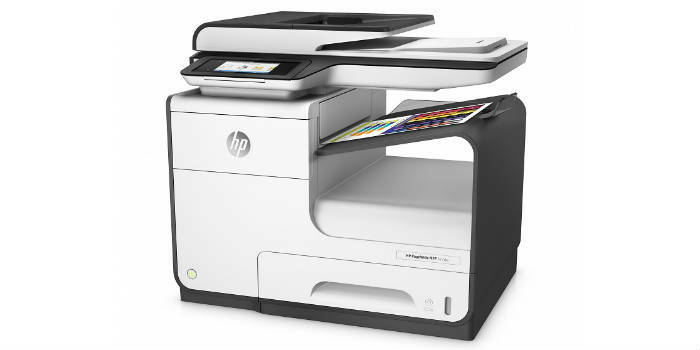 The innovation will be implemented in a row of HP printer series (PageWide and OfficeJet Pro) and will provide faster and higher-quality printing under lower per-page printing costs. New HP cartridges will cost from $40. The pigment ink technology is based on a proprietary ink formula. The ink is spread simultaneously across the whole page, whereas with the inkjet technology the ink is spread from left to right line by line. So here it significantly cuts the printing-for-page time and increases the print speeds in the whole. The pigment inks by this and their more durable formula will compete inkjet inks in consumer printers. The cost of a printed page is about $0.01 cents in monochrome mode, and $0.06 in color mode, which is almost twice lower than that in a laser printer. The capacity of e.g. a business printer black pigment ink cartridge is up to 20,000 pages, color—17,000 pages. The print speeds will vary from 45, 55 to 75 pages per minute depending on the printer model. The gadgets themselves are represented with the widest range of printers from the budget OfficeJet Pro 8210 for $129.99 shipping in September to the high-end PageWide Enterprise Color MFP 586 starting at $1,999 and shipping in May. This entry was posted on Tuesday, March 15th, 2016 at 2:24 am	and is filed under cartridges, HP, inkjet, printer. "Best-matched 3D printers to get an interest of lost-in-iPad kid"